The Baby in the Bag and other stories. Today I’d like to share a couple of stories about my Netta dolls. I have quite a collection of Netta dolls now. 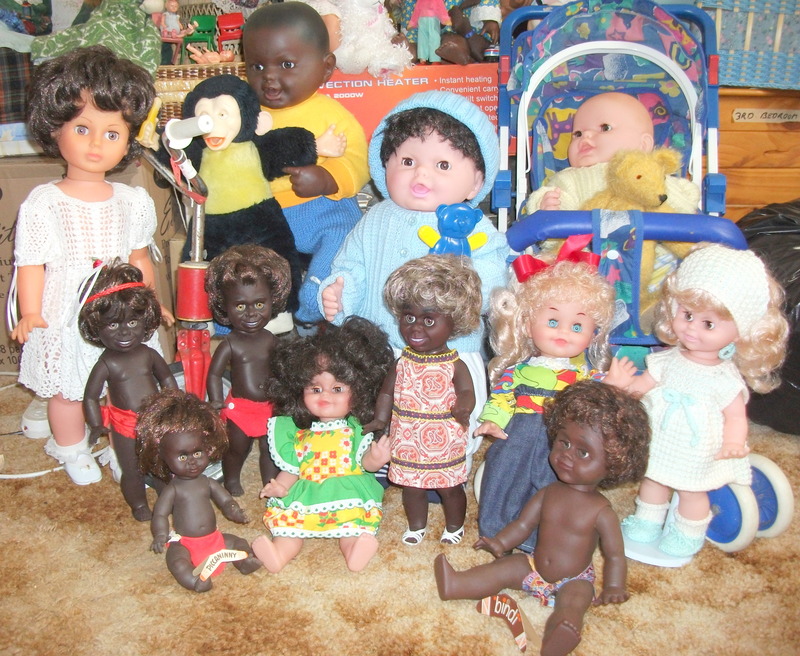 This is partly because as they were made in Adelaide I feel a connection to them but mostly because I find the faces of the small “Bindi” sized dolls and the large baby and toddler dolls very appealing. I first saw the big baby dolls in a secondhand doll shop that my sister and I often used to go to. They were new, the owner bought them from the factory I think. I really wanted one even though up to that point I had not had modern dolls in my collection. This would have been in the 1990s. Well, to cut a long story short I put one on layby and a few weeks later went to collect him from the shop. 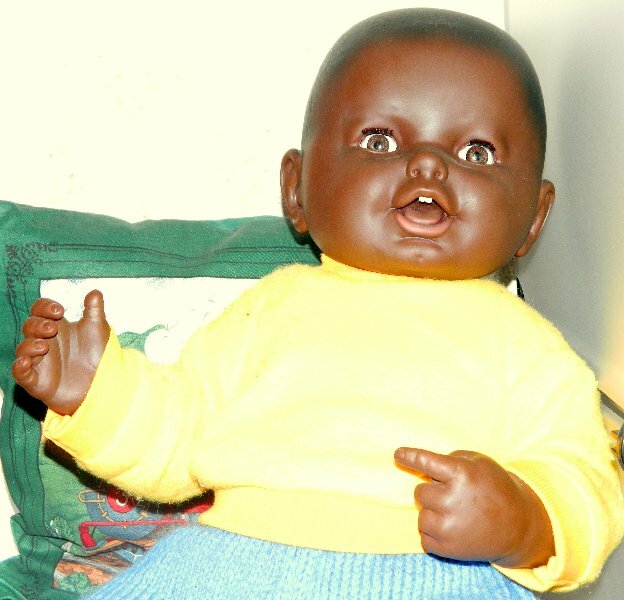 I had decided on a boy baby with brown eyes and lovely chocolatey skin, the lady at the shop asked me if I would like him customised with teeth so of course, I said yes. As I don’t drive I had to take my doll home on public transport, a short bus trip to the city and a longer train trip home. I had put the doll in a large shopping bag to make it easier to carry him and because I was a bit self-conscious about running into someone who knew me. The bus trip passed without incident and soon I was on the train home. Later on, I managed to get another baby boy doll but I had also seen some gorgeous toddler dolls with rooted hair and straighter legs than the babies and I badly wanted one of these. 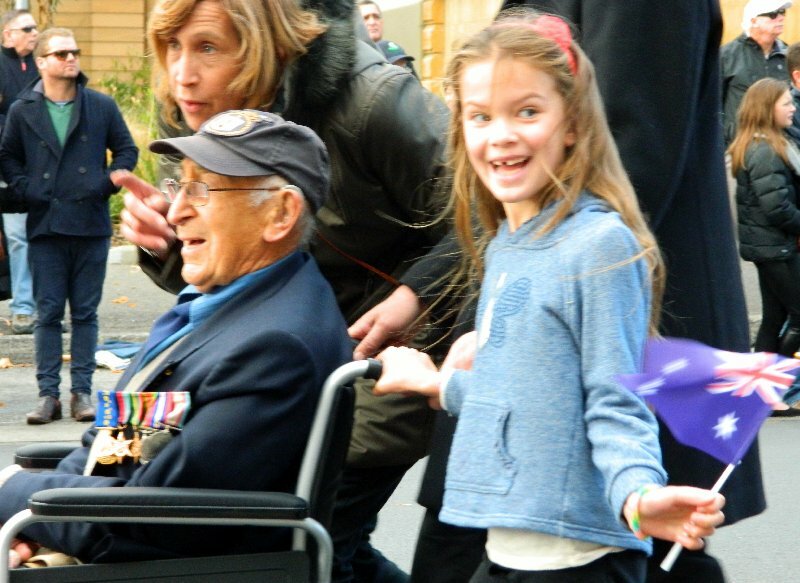 At that time there was a lady who sold lots of Netta dolls at a market stall in Port Adelaide. On my occasional visits to the market I would always go and look at them but after a while, I didn’t see her there anymore. We moved to Tasmania and eventually I spotted a seller at an online auction site who had just the type of doll I wanted. I bid on one and managed to get him. When I emailed the seller who was in country South Australia I mentioned how much I had wanted a doll like this when I used to see them at the market. Back came her email. “Oh, that was my mother’s stall and these are her dolls.” The lady had become frail and had to go to a nursing home, taking some of her favourite dolls with her. The rest her daughter was selling on her behalf. She promised she would tell her mother what I had told her. It just goes to show what a small world we live in doesn’t it? The other Netta’s and the Metti dolls in my collection came from eBay, from a shop that sold old toys and two Metti Bindi’s came from the doll show at Ulverstone still in their boxes. I let one go to a doll collector I met through a doll forum who had admired them, she went to the USA. 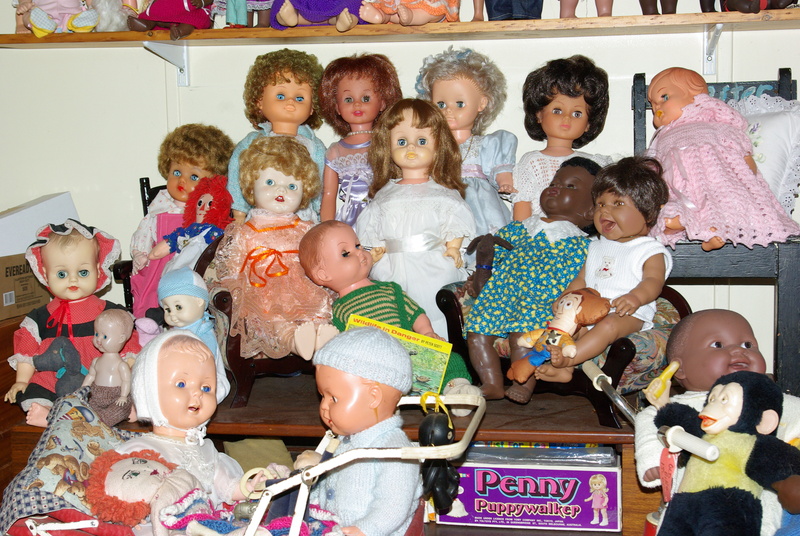 I think stories like these are what makes doll collecting or any kind of collecting so much fun. 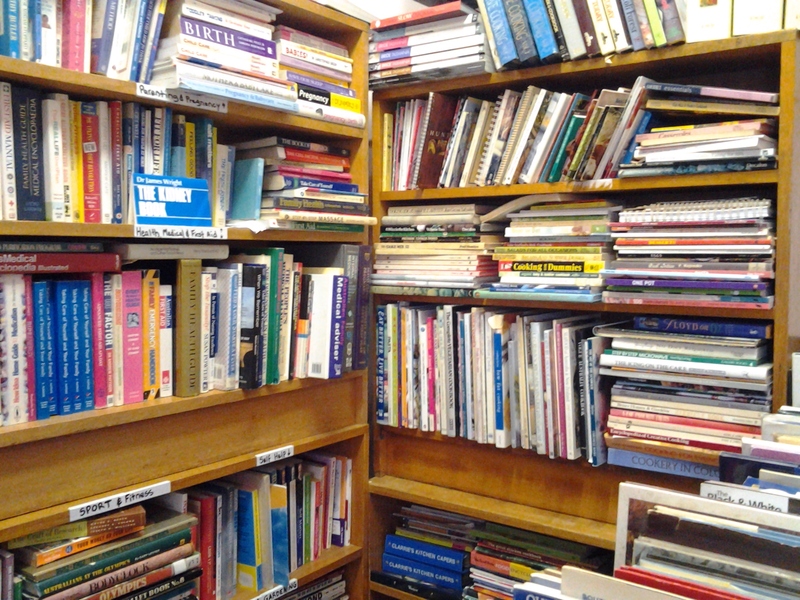 It’s not just the acquiring of a new item it’s the search itself. Please check out my Metti/Netta Page for more photos. Here are all my Metti and Netta dolls together. Next Are Barbie’s Really Bad For Children?